Summary: Community banks almost universally enjoy seeing new banks open because it points to a thriving industry. On that front, de novo activity is gaining some momentum. 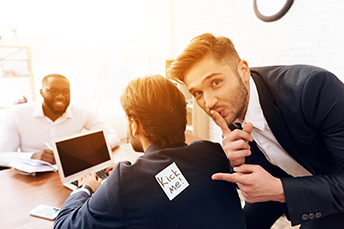 A survey by Harris Interactive finds certain people are off limits when it comes to being an April Fool's target, while others are just fine. Those most people will avoid are: boss (64%), teacher or professor (64%), a young child (56%) and parents (53%). Meanwhile, those that rate at the top of the potential target list: best friends (76%), spouse or significant other (73%), sibling (72%) and teenager (69%). Coworkers rank right in the middle, so as some coworkers may enjoy pranks today while others may not. Speaking of enjoyable events, community banks almost universally enjoy seeing new (de novo) banks open because it points to a thriving industry. On that front, de novo activity is gaining some momentum. Last year, eight new charters were added to the landscape, according to the FDIC and several startups obtained the green light to pursue their project too. Naturally, the resurgence of new bank creation is nothing compared to the hundreds of de novo institutions that flourished before the great recession. Yet, it is hopeful that the desire to create a new bank is beginning again. There are several elements in play for de novo success of course, but knowing which areas can support additional small businesses is one of the first to consider. Having a strong management team, with a clean background is paramount too. That being said, the process is not always easy and the steps can take more time than expected or desired. As we know, the cost of compliance, the burden of regular call reports and capital requirements/need to raise more around $25mm these days can discourage many entrepreneurs. So, what does it take to be a successful de novo? One thing is to take a look around and see where business growth is the greatest. For deposits, startup banks will need to look at the population demographics as well. Look for growth markets with a good median household income. Regulatory support may also be gaining for de novos. FDIC Chair McWilliams noted the lack of financial diversity in some counties and pointed to the fact that new banks could make a difference. She noted that 25% of these counties are served by a single community bank or the local branch of a bigger institution. The ABA has also chimed in on de novos, noting that the following would facilitate more applications: greater transparency around the timeline and approval process; establishing more efficient and direct communication channels; and shifting the majority of decision-making to FDIC regional offices. If you are interested in starting a new bank, or know someone who is, we can help. We provide all sorts of services for de novo banks, such as escrow accounts for the safekeeping of subscriber funds, organizational lines of credits, settlement, and earnings credits. For more information, contact us. The Financial Times reports Dutch bank ABN Amro ($390B) is getting ready to apply for a US banking license, as it seeks to expand and gain access to dollar-based funding. Bank of America reports its artificial intelligence (AI) driven virtual financial assistant known as Erica has completed 35mm requests and now surpasses 6mm users. Goldman Sachs recently commented that the inverted yield curve may not be as serious as some expect. "This dynamic has probably been supported by international spillovers from non-US rates where QE [quantitative easing] and low growth and inflation expectations have supported lower 10Y rates," they wrote. "As a result, the curve inversion signal could be less powerful for recessions than in the past since long dated yields across regions have become more correlated." Also, recession risk usually causes credit spreads and those did not rise substantially. Need De Novo Banking Services? New banks have a complex and time-consuming road ahead. Our De Novo Services provide support and assistance when new banks need it most. Contact us today for more information.